Are you on the hunt for affordable used sports cars for sale around Breckenridge and West Fargo? Then Dakota Chrysler Center should be the next stop on your list! Our staff would love to dive into the benefits of used cars while taking you on a test drive in the model of your choice, so stop by any time! ONE OWNER LOCAL TRADE! 2010 DODGE CHALLENGER R/T CLASSIC! LOW MILES! Many people feel that used vehicles are a practical choice, but when you choose a used sports car, you can enjoy a vehicle that’s both practical and exhilarating. You’ll notice the superior performance immediately when you get behind the wheel of a sports car, like the Dodge Charger. However, you’ll save tons of money on costs like down payment and insurance fees when you opt for a pre-owned car instead of a brand new model. Why not take a spin in the affordable sports cars of your choice? 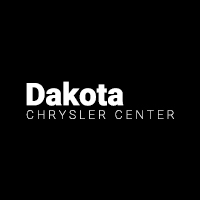 Visit Dakota Chrysler Center today!